At All Coast Electric Motors & Pumps we provide rewinds,sales and repairs of renowned workmanship, quality and performance on all types and brands of equipment including Davey Products. We are located in Rosebud and service the Mornington Peninsula area. At our Rosebud workshop we have a wide range of products and services for your every need. Suitable for industry, rural and domestic, our range includes AC. DC. 240/480v and 415v three phase motors, pumps, gearboxes, compressors, generators, welders , and all associated equipment. 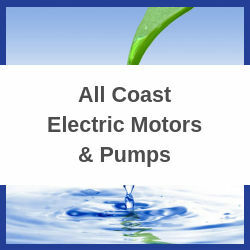 At All Coast Electric Motors & Pumps we provide rewinds,sales and repairs of renowned workmanship, quality and performance on all types and brands of equipment servicing the Mornington Peninsula area.